Nvidia are releasing a new card with the GTX 1080’s GPU. A hobbled one. For China. While we’re waiting for the GP102-powered GTX 1080 Ti to arrive at CES in January it looks like Nvidia are prepping another new card using the same GPU as the GTX 1070 and GTX 1080. What’s it going to be called? 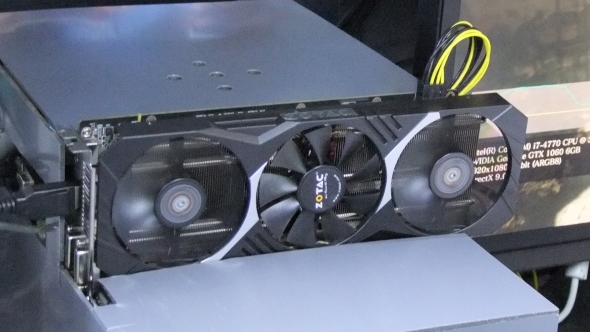 A GTX 1060. Wait. What? Yeah, we don’t have to worry about this one getting in our list of the best graphics cards to buy right now. The ‘1B8’ bit apparently denotes the family of cards using the GP104 GPU. Essentially Nvidia are repurposing any and all GP104 GPUs that failed to make the grade as GTX 1070s or GTX 1080s and dropping them onto GTX 1060 3GB PCBs. That doesn’t mean you’re going to get any higher performance out of the new cards – they will still come with the same 1,152 CUDA cores that make up the lower caste 3GB versions – but what it might mean is that they may have slightly higher power requirements. Given the expense of manufacturing complex GPUs, and the fact that a new architecture paired with a new production lithography is likely to have a relatively high rate of attrition, Nvidia are going to want to recoup their losses wherever they can. And where they can looks set to be in the Chinese GPU market. Videocardz claims that, from what they’ve heard, the new GP104-powered GTX 1060 3GB cards are going to be China-exclusives, so we won’t have to stress about what sort of hobbled silicon is running in our hobbled 3GB versions of the proper GTX 1060. Phew. 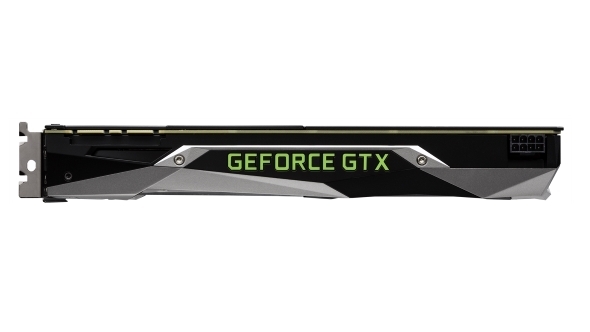 It’s not unusual for GPUs that don’t make the grade to be repurposed for lower spec cards – there may well be some ultra expensive GTX Titan X cards out in the wild using GPUs which failed to make it out of the factory as Tesla P6000 GPUs. And it’s not just Nvidia that does this either. GPU manufacturing is an expensive business so AMD will be doing the same their cards. It’s probably one factor in why AMD historically create new graphics cards in pairs based on the same GPU. And it’s not unusual for China to get its own exclusive GPUs either. When I visited the PC Partner graphics card factory in Dongguanto watch them birthing GTX 1050s I also saw their staff testing Chinese versions of Zotac’s own graphics cards. Though they remained very tight-lipped over why exactly the specific, extremely long, 8-pin powered GTX 1060 pictured above was being held for the Chinese market only.